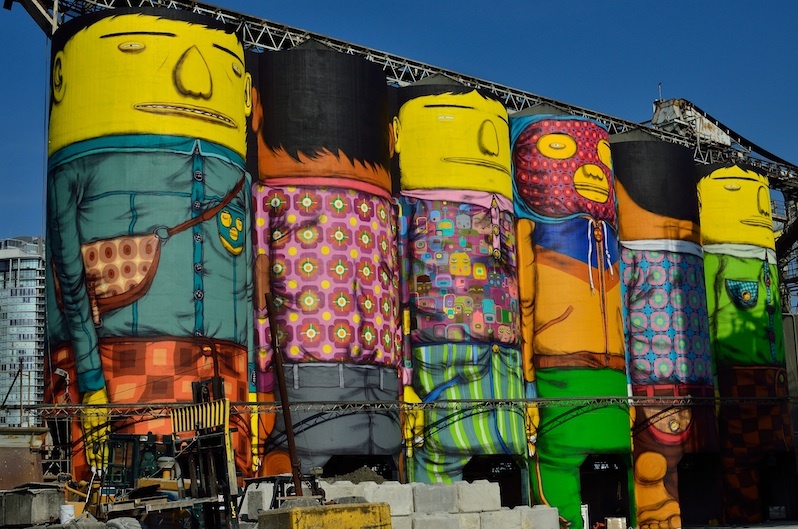 Join the VANCOUVER BIENNALE for the official unveiling of “Giants” by OSGEMEOS. Bring friends, family and fido for a closer view of the mural that everyone is talking about! Don’t forget to smile when we take a giant aerial photo to commensurate this historic event – the Canadian debut of OSGEMEOS, their largest project in the world and the only 360-degree Giants in their global series, all happening here as part of the Vancouver Biennale.